Eustace Lyon, who has been the Record’s worthy foreman for several weeks, has returned to Clarksburg to resume his position on the News.–Record. Eustace Lyon came up from Morgantown Thursday evening of last week and visited his parents and friends here until Sunday afternoon, when he returned to Morgantown where he has a position with the Acme Publishing Company. Eustace Lyon has recovered from an attack of la grippe and started Wednesday morning for Wheeling in resumption of his duties as traveling salesman for the Acme Publishing Company of Morgantown. Former Clarksburg Printer is Now Superintendent of the Pittsburg Printing Company. Eustace Lyon returned Tuesday morning to Pittsburg, after a short visit here. Mr. Lyon has been promoted to the responsible position of superintendent of the Pittsburg Printing Company, after having served several months as its efficient assistant foreman. He is a competent printer and an artists in his line. The promotion is merited, and Mr. Lyon will prove himself the right man in the right place. His many friends here are glad to learn of his success in Pittsburg and extend their hearty congratulations. Eustace Lyon returned home Saturday night from Pittsburg, where he has been employed with the Pittsburg Printing Company for several months. He will likely remain here several days. Eustace Lyon, the printer, is confined to his home with typhoid fever. His many friends will be pained to hear that he is down with the disease, but extend the hope that he will have a speedy recovery. Dr. A. O. Flowers is attending him. Eustace Lyon, the well-known printer who suffers from typhoid fever at the home of his father, Andrew Lyon, is on the road to recovery, athough it will be several weeks before he will be out. OF EUSTACE LYON, WELL-KNOWN AND POPULAR YOUNG PRINTER, OCCURS. Result of Typhoid Fever and Bowel Trouble, After Only Little Over Two Weeks’ Illness–Funeral Under Auspices of Typographical Union. 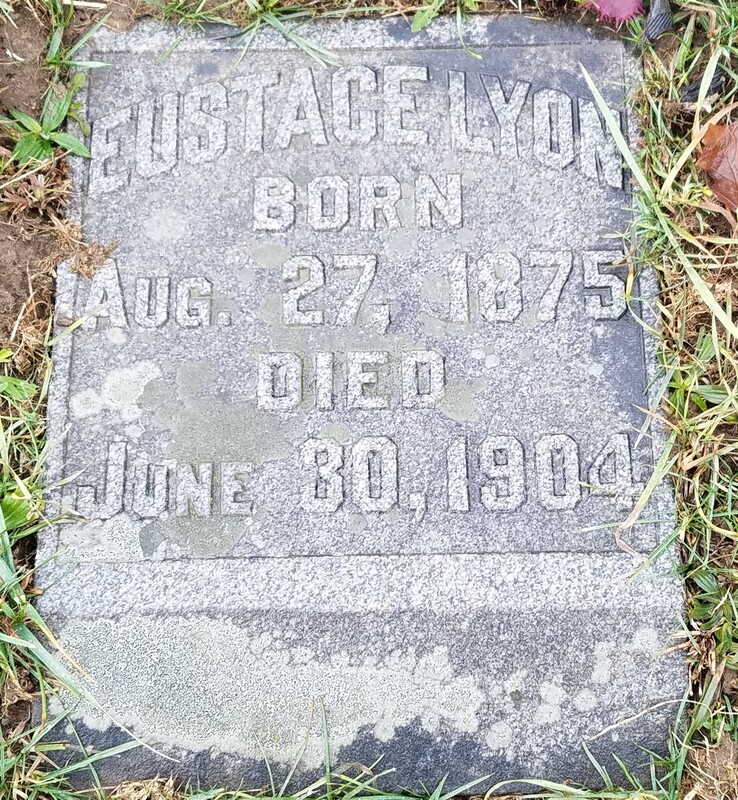 Eustace Lyon died at the home of his father on Mulberry street very suddenly at 7 o’clock Thursday evening from typhoid fever. His death was wholly unexpected, as he was thought to have been improving for several days prior, but a few hours before death came he became afflicted with bowel trouble and all medical efforts proved futile. He had had the fever only a little over two weeks. 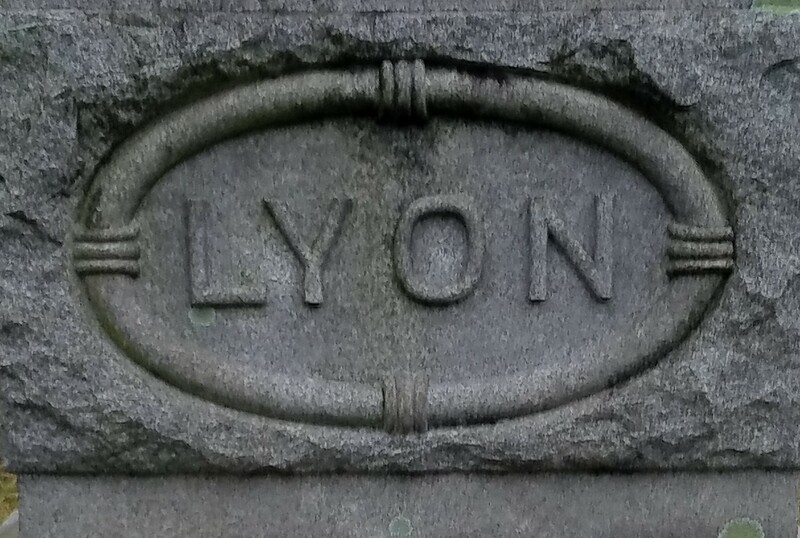 Mr. Lyon was the only son of Andrew Lyon and was 27 years of age. 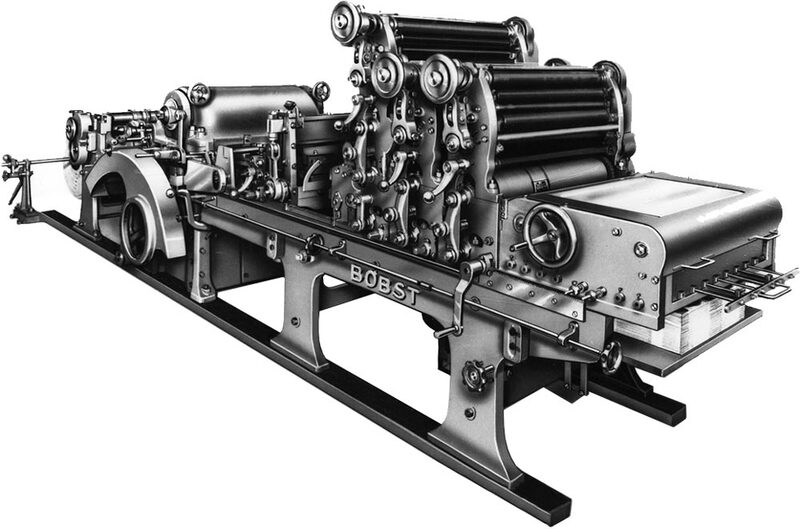 He was a printer and followed his trade very successfully, being an artist in that line of business, and at the time he was taken sick he was in the employ of the James-Shepherd Company at their printing plant on West Pike Street, a position he held with satisfaction to his employers. Among those of that trade he was regarded one of their best and his ability commanded the respect of all. He was a member also of Clarksburg Typographical Union No. 372, in good standing. The deceased was a jovial, companionable, intelligent young man, enjoying the friendship and esteem of a host of people, who are pained to hear of his sudden demise. He was courteous, kind and sympathetic, ever ready to lend a helping hand and to share his earnings with those in need, and in the printing trade will his memory especially be cherished. Besides the father and mother four sisters survive. They are: Mrs. Minnie Powell, wife of Dexter G. Powell, of Salem; Mrs. Kleon Pritchard, Miss Jessie Lyon and Miss Beulah Lyon. The funeral under the auspices of Clarksburg Typographical Union No. 372 from the residence at 2 o’clock Saturday afternoon, and the obsequies conducted by Rev. Robert B. McDanel, of the Baptist Church. Interment at the Odd Fellows Cemetery. Mr. and Mrs. Dexter G. Powell are here from Salem, being called to the city by the death of Mrs. Powell’s brother, Eustace Lyon. The funeral of the late Eustace Lyon, son of Mr. and Mrs. Andrew Lyon, took place from the residence of the father of the deceased Saturday afternoon at 2 o’clock, Rev. R. B. McDaniel officiating, and the obsequies being under the auspices of the local Typographical Union of which he was a member. Many sorrowing relatives and friends were present and Rev. McDanel talked touchingly of the deceased. 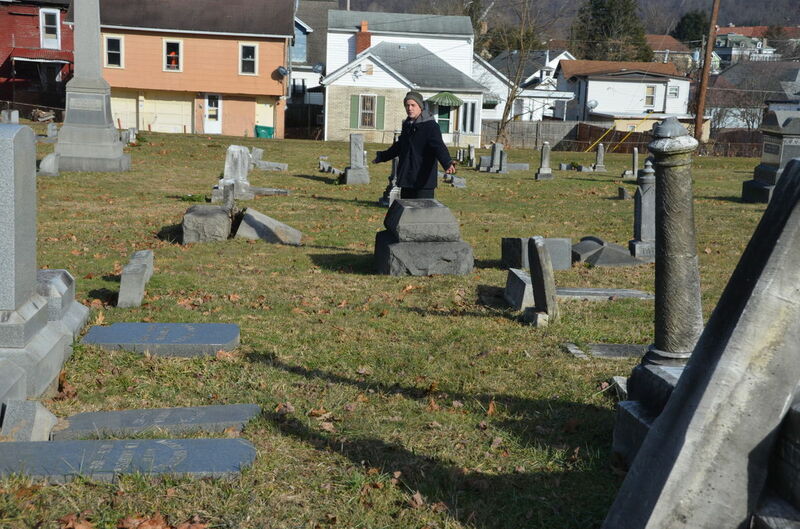 Interment was then made in the Odd Fellows cemetery. The Typographical Union held a meeting in the office of the Telegram at 8 o’clock Friday night and arranged to attend the funeral in a body. Whereas, Almighty God, in His infinite wisdom, has called to His eternal rest our fellow-craftsman, Eustace Lyon; and Whereas Clarksburg Typographical Union No. 372 has lost an active and conscientous member; therefore, Resolved, That while we mourn the loss of our friend and associate, we extend our heartfelt sympathy to his bereaved parents and parents. Resolved, That a copy of these resolutions be spread upon the minutes of this union, published in the Typographical Journal and a copy furnished the family of deceased.